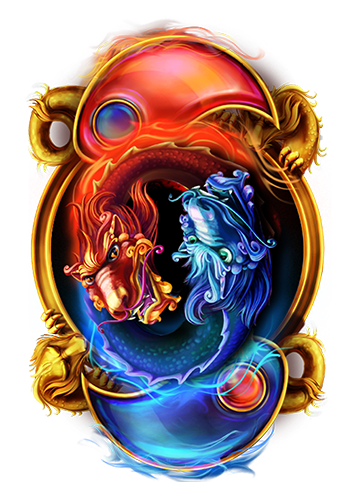 Two Dragons are always better than one! 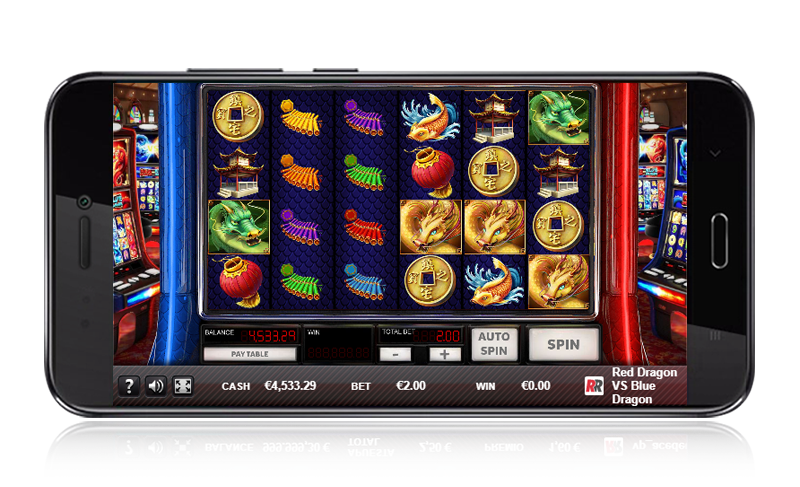 A Videoslot with 6 reels and 50 paylines. 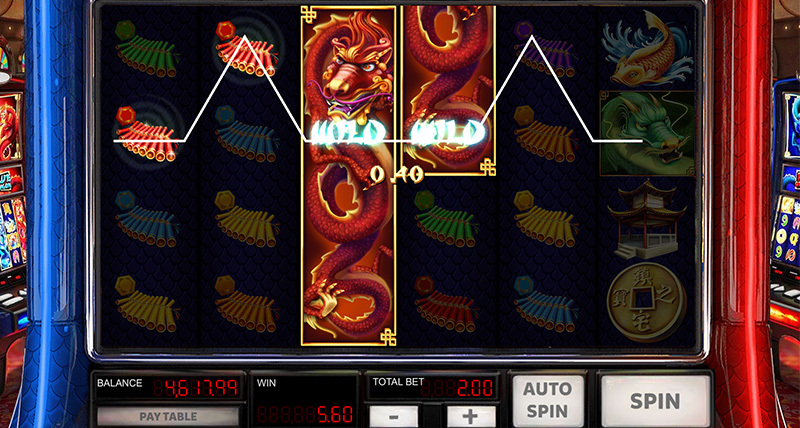 'Fixed Wild Blue Dragon Respin' symbol remains fixed while launching a Respin on the other reels. 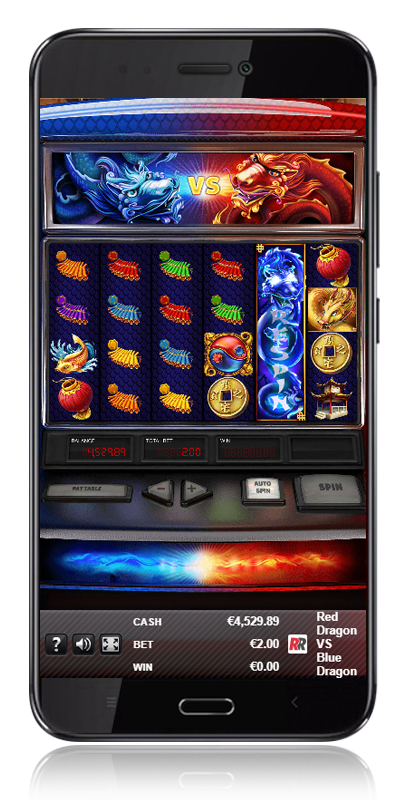 During the 'Free Spins Bonus Feature', the 'Fixed Wild Blue Dragon Respin' symbol appears in each spin. 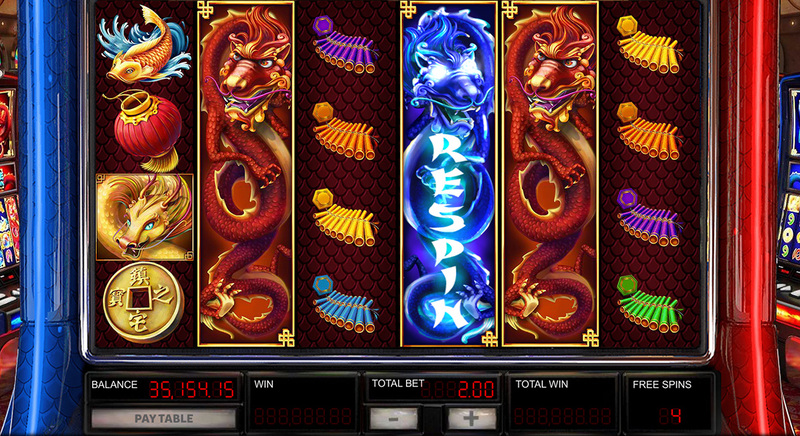 The 'Red Dragon Wild' symbol will appear on reels 2,3,4,5 & 6 during regular spins. 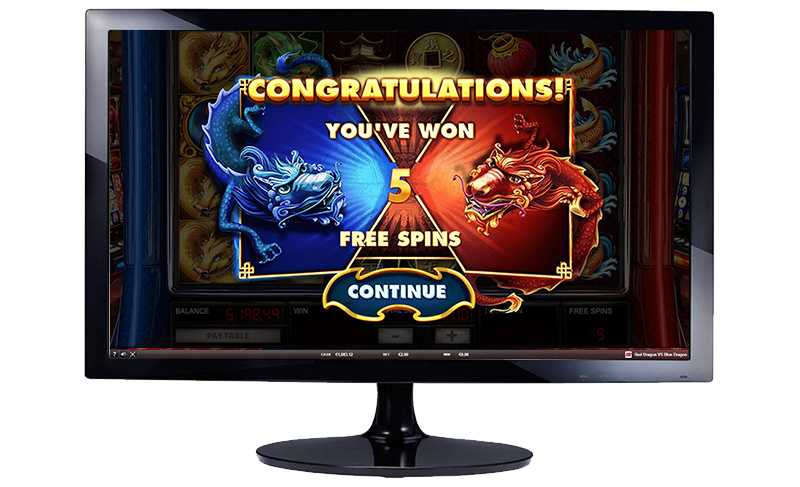 Get retriggers during 'Free Spins Bonus Feature' with 'Ying Yang' symbols. In progress: UK, Italy, Spain, Portugal, Malta. Only appears on reels 2, 3, 4, 5 and 6. Substitutes all symbols except Scatters. 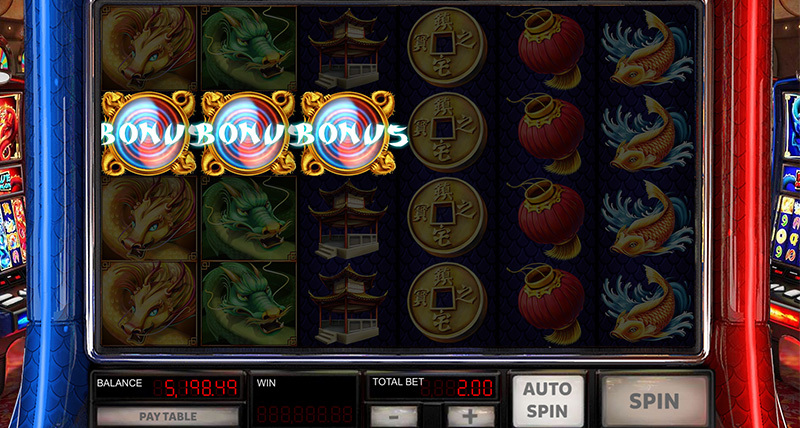 During the 'Free Spins Bonus Feature', the 'Blue Dragon' symbol will appear in every spin. 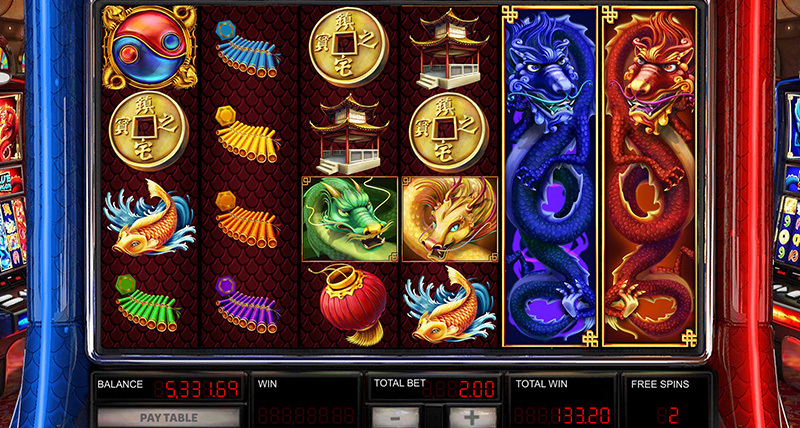 Win 5, 7 or 10 free spins with any 3, 4 or 5 'Yin Yang' symbols respectively. 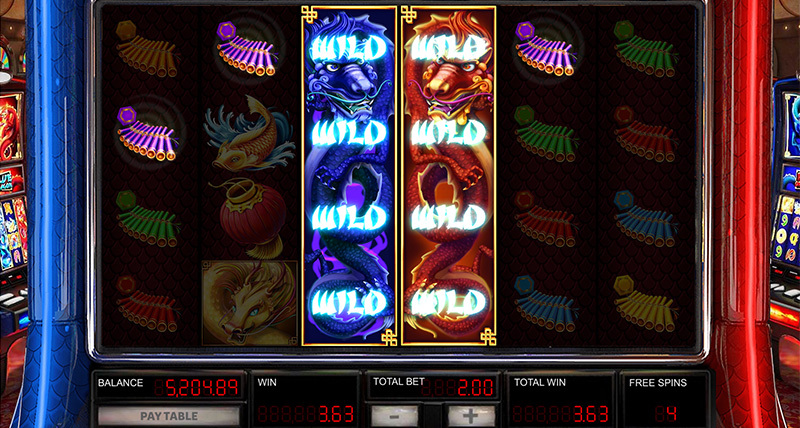 During the 'Free Spins Bonus Feature' any reel other than reel 1 will become Wild.